How to use the new website! Hello fans and drivers. 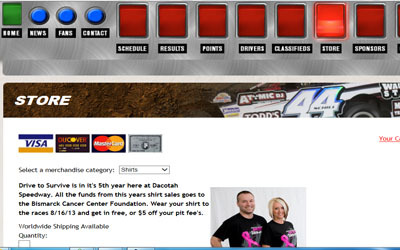 The new Dacotah Speedway website has been launched and we are excited with how many features it has. In adding all the information, we overlooked something; some of you might need a tutorial on where you can find information again that was in a place on the old site that you could get to without looking. Sorry that we forgot to do this earlier. So here are some tips to help you out. The stories on the front page have a maximum count of 3; this is so our homepage isn't 40 pages long with a mix of everything like it previously was. If you’re looking for a specific story that isn't on the front or home page click on the ''News'' button and everything will be achieved there. Under the ''Fans'' button is a lot of information! 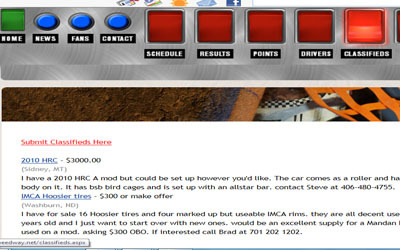 When you click on it, the page will land you on a landing page that has very little information at this time, to find specific information on tickets, directions to the track, lodging, track and division (car classes), and many other things look to the navigation bar. There are numerous subjects there under the main tabs (switches and buttons) most of you should find what you need there. Now to the ''Contact'' button, before our website had a listing of all the board of directors names, phone numbers, and email a ddresses along with the Promoter's and other various people. This is a more streamlined way of contacting Dacotah Speedway, simply fill out the form, and click send, this will send a notification to a couple email addresses, the tracks main email info@dacotahspeedway.net and my personal email address. These emails do have smartphone notifications so as soon as its sent we get the notification and will return your email, or call you back as soon as we can. We will have in the future a listing of our board of director's under a tab, just not at this time. The Schedule switch (Tab), is pretty self-explanatory, the schedule is in a different format. If you want more details on a specific night, click on the highlighted and underlined part of the ''Event'' this will take you to a detailed information page on each event. The Results switch (Tab), this will function the same as the Results tab on the old website, this will directly link to our Speednet information. This is the results of the latest race; please give us a day or two after the Friday night race to get this information uploaded. 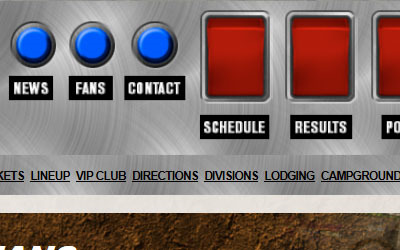 The Points switch (Tab), will also function as before on the old website. This will be where overall points for the entire season will be up to date. The points are based off of the results, so if the points are not correct it might be due to the results not being uploaded. If after 72hrs from race night the points and results are not updated or not working please email us (using the contact button) to make sure we can get problems fixed. 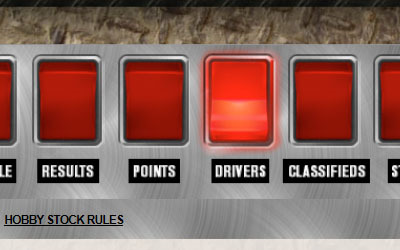 The Drivers switch, this will have information such as rules (IMCA, INEX, & Wissota), weekly payout (purse), forms, Dacotah Speedway rules/procedures and hobby stock rules. The Classifieds switch, when you click on this switch it will bring up all the classifieds that people h ave submitted (and have been approved) the first classified on the page will be the newest. To submit a classified click on the highlighted underlined link and there will be a online form to fill out, describing the item(s) you are selling, asking price, and contact info. After you submit the ad it saves it, then sends a couple of us emails saying ''hey come approve this ad!!'' We then log in and approve it, please allow us a few hours to get it approved as we all work full time jobs and may not be able to get this done immediately. Now we move on to the Store switch, this is the really cool thing about this site; you will not have to wait to buy stuff such as shirts, season passes, or transponders. You can go right online, order it and we'll ship it to you! When you get to the main store page, there is a drop down menu, with season passes, shirts, hats, electronic's and so on. Navigate around the store to find what you want to purchase, just like a lot of other online stores. When you are ready to check out, go to ''your cart'' and continue following prompts, you can pay with Paypal, or through Paypal using a credit card. The Sponsors switch, this one lists all of the current sponsors for Dacotah Speedway, these business's may have purchased partial or full sponsorships, trackside signs, flag naming rights, division (class sponsors) or various other things. Please take the time to shop, or utilize the services of these business's they support us and our sport. Maybe BNSF could ship your next chassis and engine in! Really though these businesses are ready to help in any way they can! Thank you to the sponsors/advertisers! The Gallery switch, the one big complaint we had with our last website is lack of pictures showing what we do on Friday nights, we fixed that with the new site. Banners and pictures with stories, along with pictures of the things in our store all help show what happens at Dacotah Speedway. 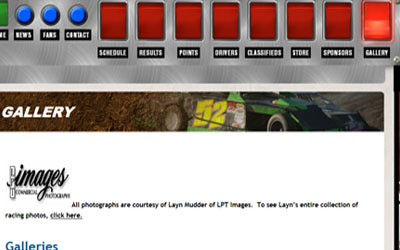 We will not have 1000's of pictures in our gallery, mainly because the photos are LPT Image's photos; Layn helps us out a lot, getting some great marketing pictures and racing pictures. There is a link to his site where all the pictures from the weekly races are uploaded. On the right side of the pages you will see rotating business ad's these are ad spots that we sell to business's to help them get extra exposure. We hope that you all share this website with others to give all these sponsors, drivers, and the track in general more exposure. If you know anyone that is looking to gain some more exposure, have them contact us! We can help them by selling them ad spots online, on the track, in print. Below the ads is our Facebook page link and preview. Up above the ads links directly to our Facebook and Twitter at there, just click on the logo. Don't worry the Dacotah Speedway page won't close, just a new window will open so you can feel free to look at both pages clicking back and forth. We also have a search bar so you can search our webpage for information. In the future look for the website to expand, and check back often as we will have more and more for you all to see, and read!! !